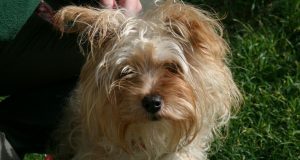 Home / Latest News / News from the UK and arrival of Gizmo, complete with torture collar. News from the UK and arrival of Gizmo, complete with torture collar. Yesterday’s blog didn’t exactly go viral, but it was shared far and wide, including on the Dogs Today Facebook site, and so the reader statistics took a huge leap. 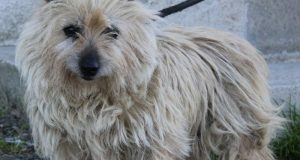 Let’s hope that some people who read Charly’s story will continue to follow the blog, and that it results in more adoptions. Or perhaps in more people identifying their dogs. In France it is the law, and even where it is not, I hope people can see how it really can help reunite you with your four legged friend. Today brought news of another Charley; the spaniel/setter cross who left for the UK two weeks ago. 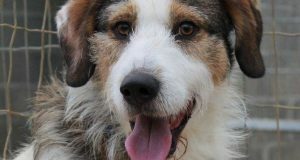 He is the third of the five dogs to find a new home, and we are over the moon for him. Back to the subject of identification…..A dog arrived this morning. She was not identified and we feared the worst, especially as she was a malinois, a breed often found in refuges. They are often far more active than their owners expect and need an outdoor lifestyle with mental as well as physical stimulation. However her owners arrived to collect her at 14H00 and when we accompanied them to the vet to get their dog identified, they booked her in to be sterilised, as she was on heat and they did not want any unwanted surprises! Yippee, responsible ownership! We had fabulous weather today and lots of volunteers came to walk dogs. 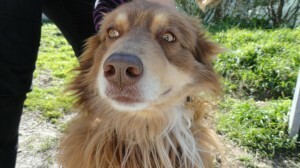 We did have one new arrival, Gizmo, a fabulous 3 year old Australian Shepherd. The reason he has been abandoned? That old favourite of mine; divorce. Yes, but you don’t have to divorce your dog when you divorce your wife! 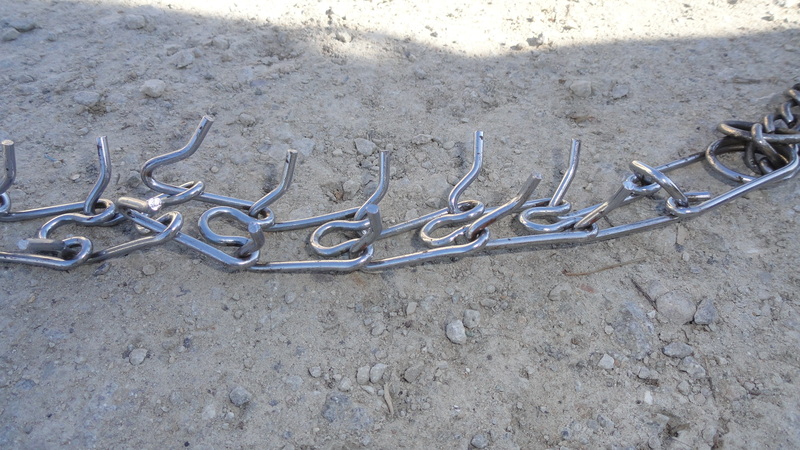 Something we hate even more than people abandoning dogs is prong collars. And so today’s arrival was a double whammy. When we asked the owner why the dog was wearing such a collar, he said it was to stop him pulling. Sigh. Prong collars were designed to stop dogs from being attacked by wolves when they were guarding sheep etc. The spikes are meant to go on the outside. There are better ways to stop a dog pulling, such as special harness, which is far less likely to cause harm to your dog. Gizmo is probably glad to be with us. I am sure he won’t be with us long. So no adoptions, but some lovely walks and so there will be lots of happy tired dogs tonight. I would so love to put those pinch collars on the owners of dogs who have to endure this cruel form of torture. The certainly don’t stop pulling and a Halti or gentle leader would be far more appropriate, after all where the head goes the body has to follow. I hope this Mis treated baby soon finds a home. So glad Charley no.2 in the UK has found a home to call his own. I will never forget the state of Prosper, who arrived with such a collar on. He had to have over 20 stitches as the collar was embedded in his neck! Disgusting. They should be banned.